Fitzgerald & Partners provide a range of tax planning services to businesses and individuals. At Fitzgerald & Partners we invest time into understanding our client needs and concerns and provide proactive advice in a timely and cost effective manner. We offer a full range of taxation services to a wide variety of clients particularly growing owner managed businesses and entrepreneurs. For specialist tax work we have outsource partners we work with for complex assignments. The legislation for capital gains tax is a very complex area. 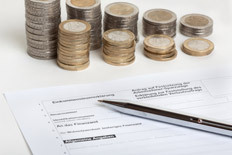 There are many reliefs and exemptions which may lead to significant tax savings. It is, therefore, recommended that you seek the advice of our team who will be able to prepare your capital gains tax computations, claim any reliefs that you may be entitled to and calculate any liability that may be due. Are you and Airbnb host ? Contact us today! Got some questions on your Airbnb income tax? Fitzgerald & Partners has a team of Tax Advisors who are on hand and happy to help. Our self-assessed tax return service will make sure that you are fully compliant with the Revenue guidelines. We can file your Airbnb tax return and make sure you are availing of all applicable tax relief associated with being an Airbnb host. 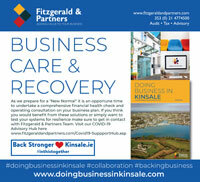 Please visit www.fitzgeraldandpartners.com or call +353 21 4774500.